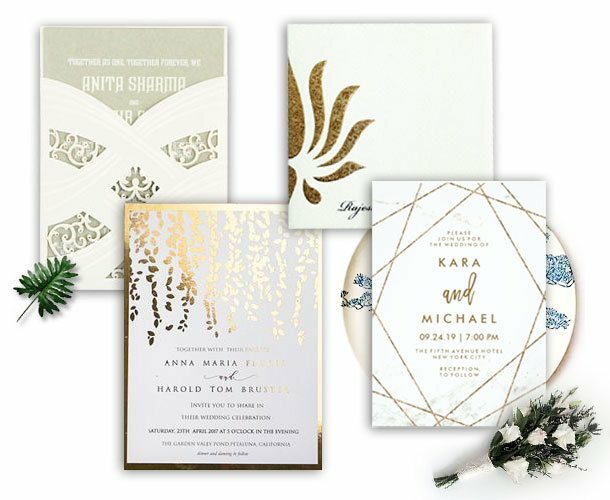 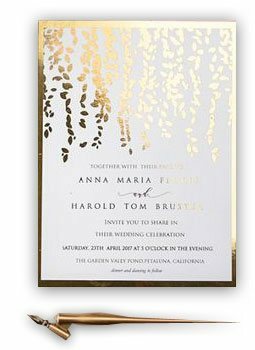 Wedding stationery like wedding menu cards, program booklets, Wedding Response Cards and many others are most excellent when the same vendor prints all of them. 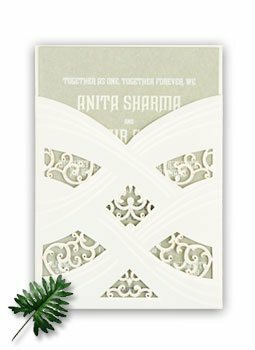 This not only helps in saving time, but also makes certain that all of your marriage stationary will be perfectly matched. 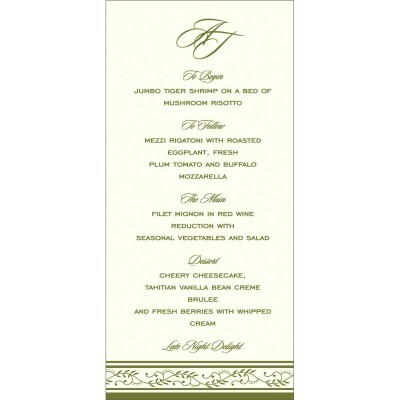 Well, menu cards are perhaps one of the most ordered pieces from 123WeddingsCards because we design them with perfection. 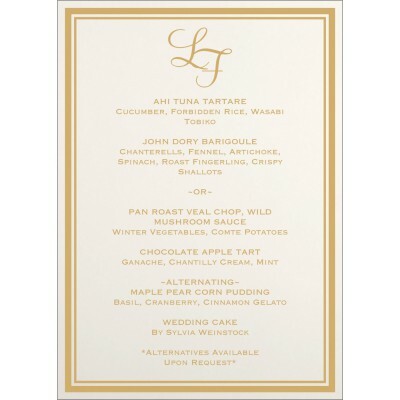 The demand for these cards is huge because every guest will love to know what he or she will be eating at your wedding ceremony. 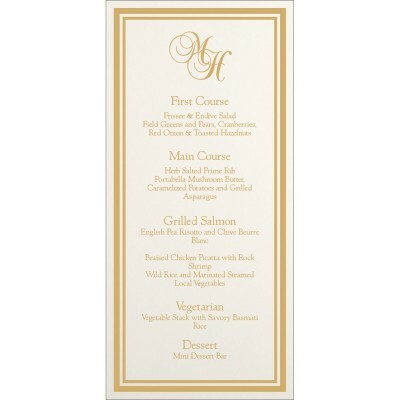 So, we can meet all your marriage planning requirements with wedding menu cards that are available in a variety of designs and styles. 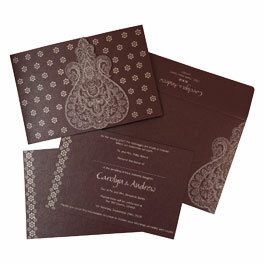 Get western to classical themes, as we deliver these cards by matching them with the color and motif of your wedding reception. 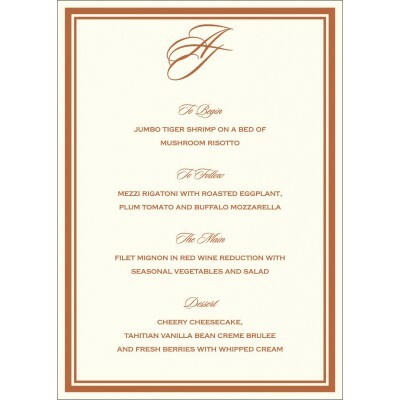 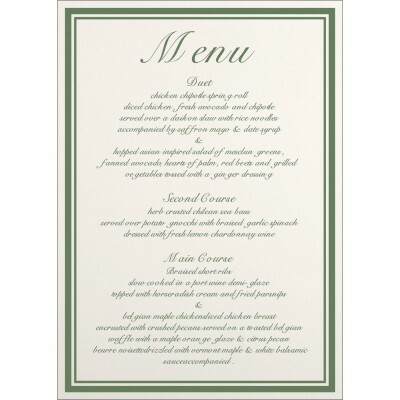 Our company very well knows that by keeping the wording style of your menu card similar to the style of another wedding stationary will be a great way to showcase your theme. 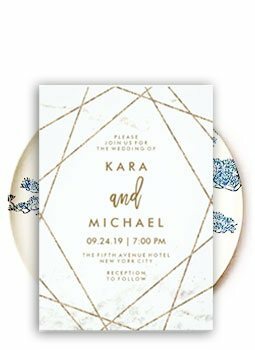 If your marriage is formal, then we will make usage of a classic font and formal wording, if it is an informal affair then we select a fun font and keep the wordings less formal. 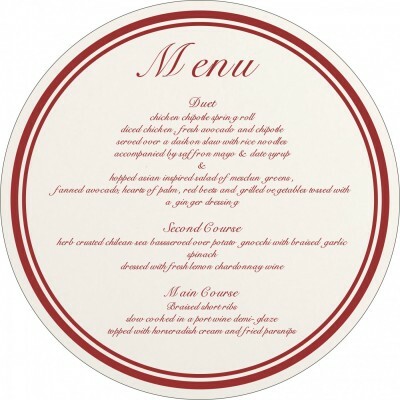 The colors used on your menu card don't need to be one; rather, it's a good idea to use multiple colors that complement each other. 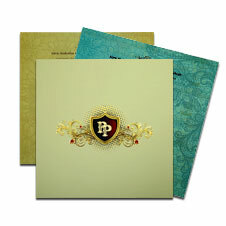 We have diverse shades of the same color and also use the pattern that distinctions well with your marriage colors. 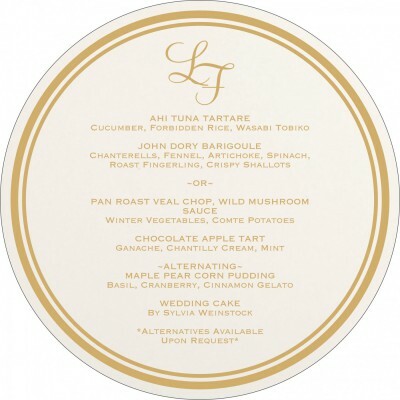 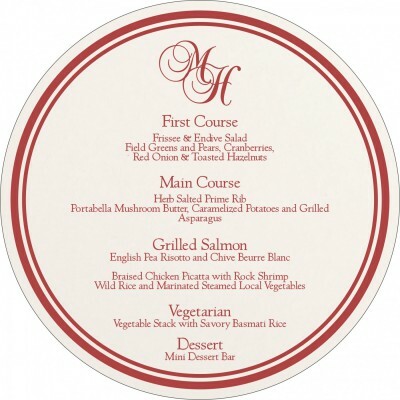 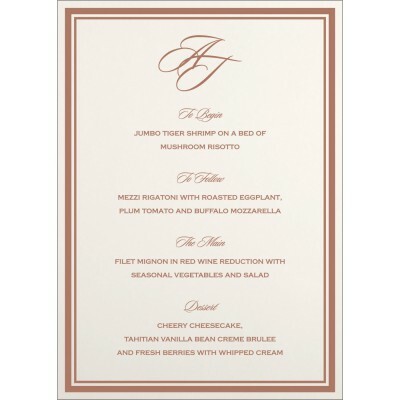 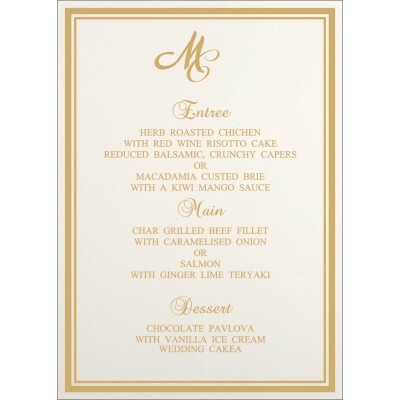 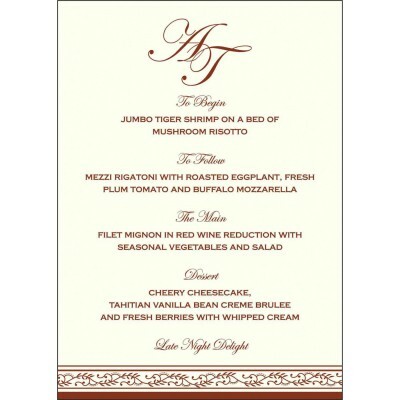 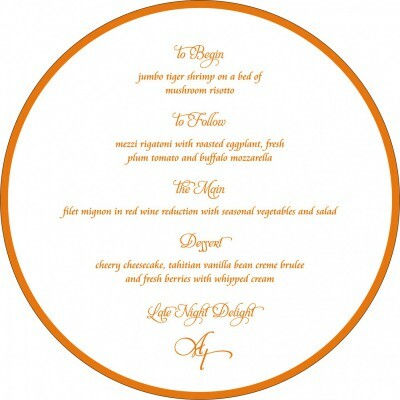 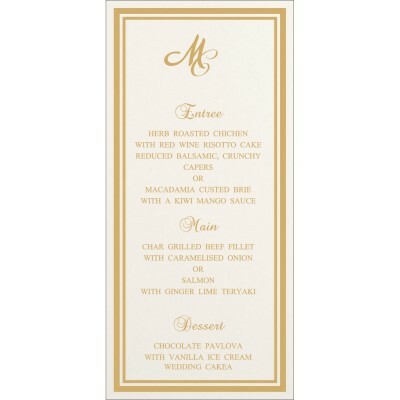 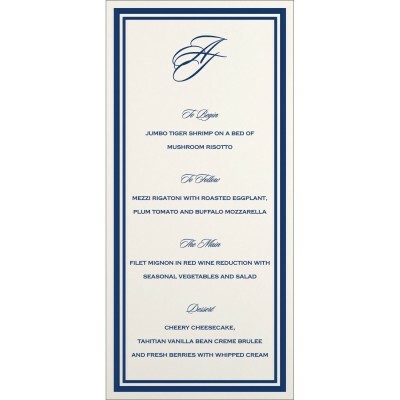 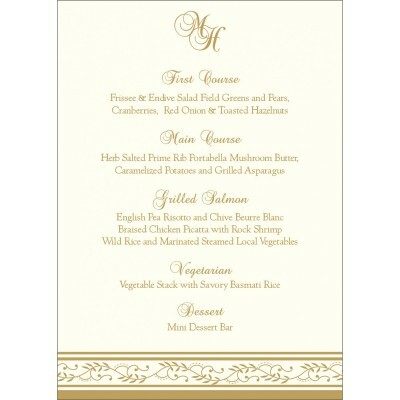 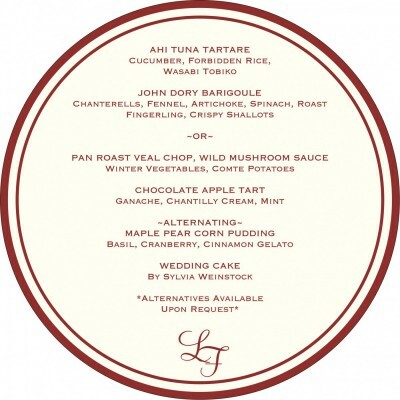 Our huge collection of menu cards will allow you to share your mouth-watering reception menu in a style statement. 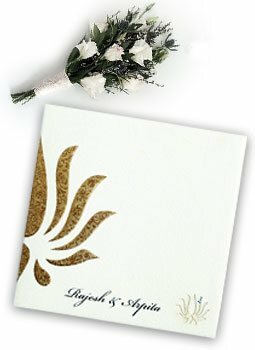 For any query, you can also contact our dedicated 24/7 online customer support staff by phone or email who will help you in ordering these outstanding cards.